For choosing an Ecommerce Platform, plenty of options are available but we at web advisor use word press for designing Ecommerce Website because it has become more impressive in the recent years, since it consists of fast growing plug-ins and themes. In today's world we have number of quality themes we can purchase; using word press will add a specific power to the e-commerce website. We give importance to word press in Ecommerce Website Design because most of the users and developers are already familiar with word press, therefore the learning process will be easier when comparing to any other platform. There are many ecommerce options through which the site can be hosted with; it is also a very good option to choose. We have our own custom themes designed and developed by the experts; with a very little investment we are able to provide premium themes which will give a professional look to the Ecommerce Website Design. web advisor is a front running Ecommerce Website Design Company India, Coimbatore, Bangalore, Chennai, who are developing e commerce business website with attractive features. Few themes we have comes along with the e-commerce functionality build in with the theme, but the other themes are designed and developed specially to integrate with the leading e-commerce plug-in in word press. All the people are with their busy schedules, so they all prefer online shopping and it has become more popular, if a person likes to do online business the main thing he should have is the e-commerce website, Ecommerce Website Design Company are specially designed for online sales of the products and even services. 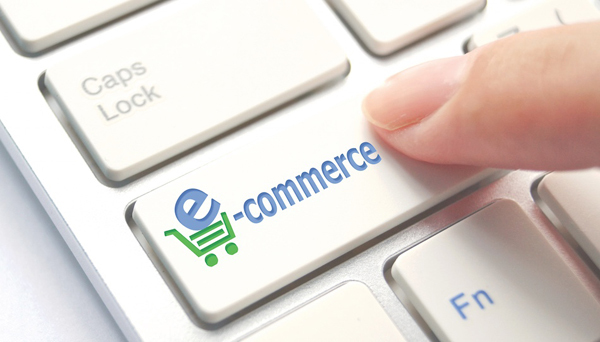 We provide the perfectly designed e-commerce website with interesting concepts, we have proved that we are best in designing e-commerce websites, we even provide services like Ecommerce Hosting, E-Commerce Shopping Cart Solutions to the customers who are in need of them, the Ecommerce Web Development we provide is under the affordable price, thus the Ecommerce Web Development we provide will be unique in its features.web advisor is renowned Ecommerce Development Company In India having expertise in Ecommerce Website Design India, Coimbatore, Bangalore, Chennai and development solutions. We have a back end content management system through which the pricing and the best deals are added constantly, customer can view the product online, they can select the product in which they are interested, and they can purchase and pay even through online mode. If the customer is not interested to do the online payment he can do the purchase online and the payment can be done through cash on delivery mode. The e-commerce website has changed the trends in shopping globally, it allows the customers to do research on the products and they can choose their products for the best deal. The attractive and impressive E-Commerce Website which we design helps our clients to attract many customers to their e-commerce site, we have a highly experienced team which could develop great E-Commerce Websites, and the website will have the best shopping cart software which will make the business easy and user friendly.